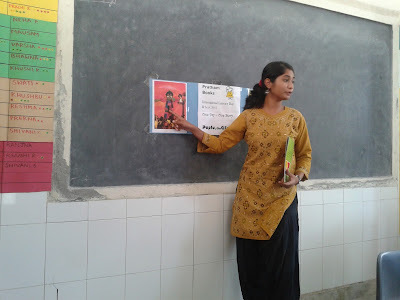 This story was sent by Joanna Sundharam. 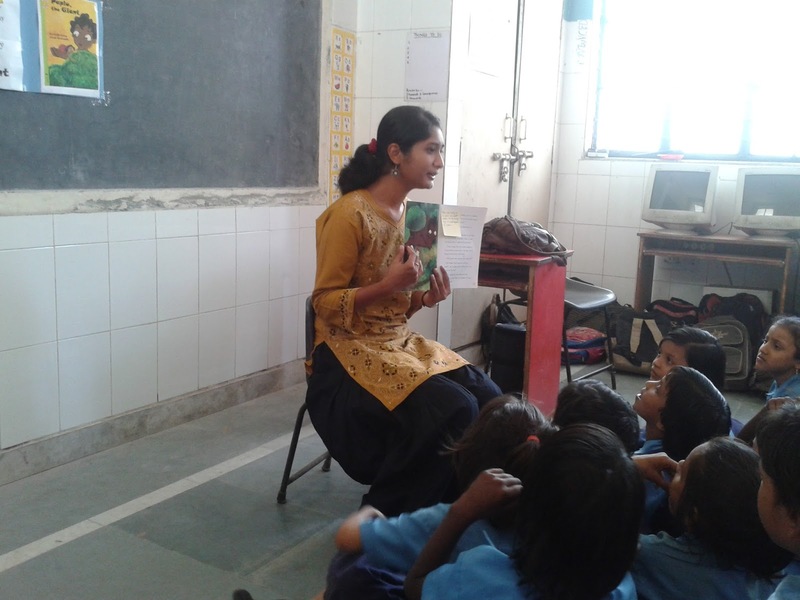 Joanna is a 2013 Fellow at Teach For India, Delhi. 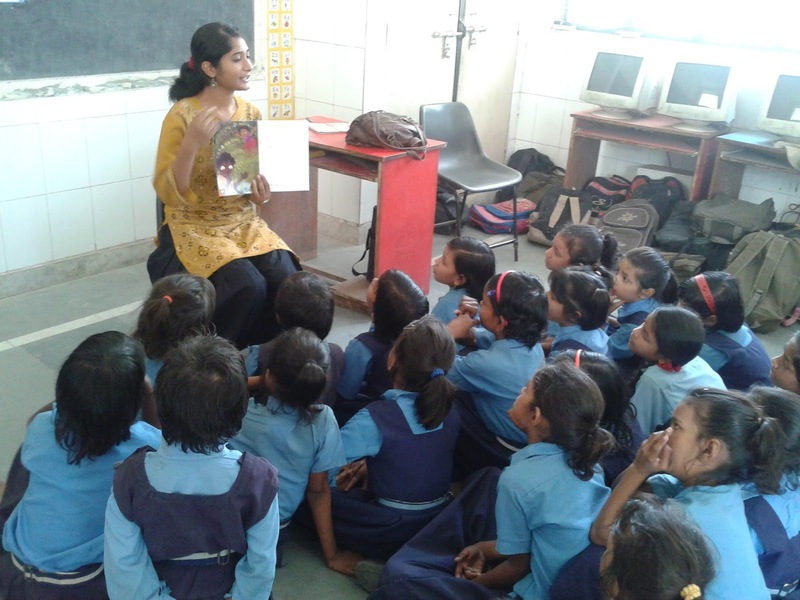 She teaches 40 girls of 3rd Standard at Nigam Pratibha Vidyalaya, Sarai Pipal Thala, New Delhi. 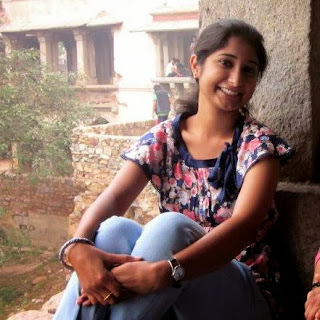 She loves sharing stories, playing games, singing and dancing with her kids. 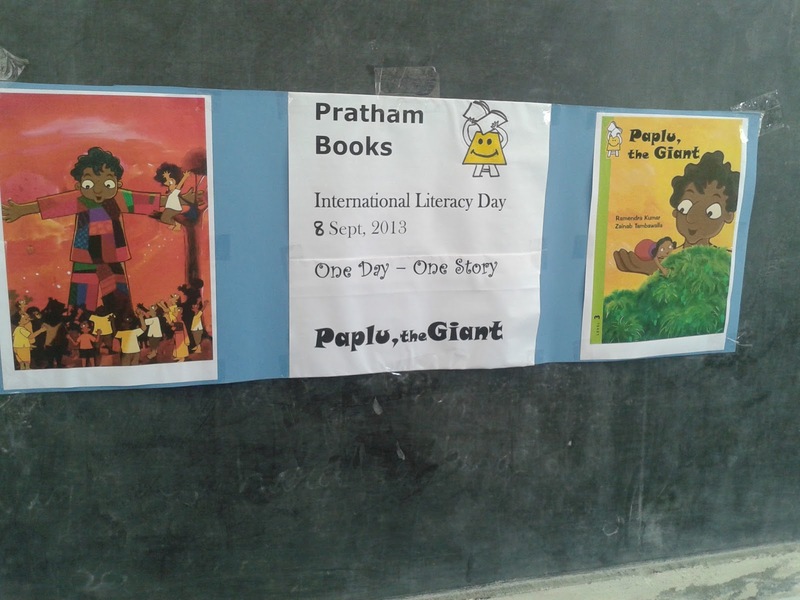 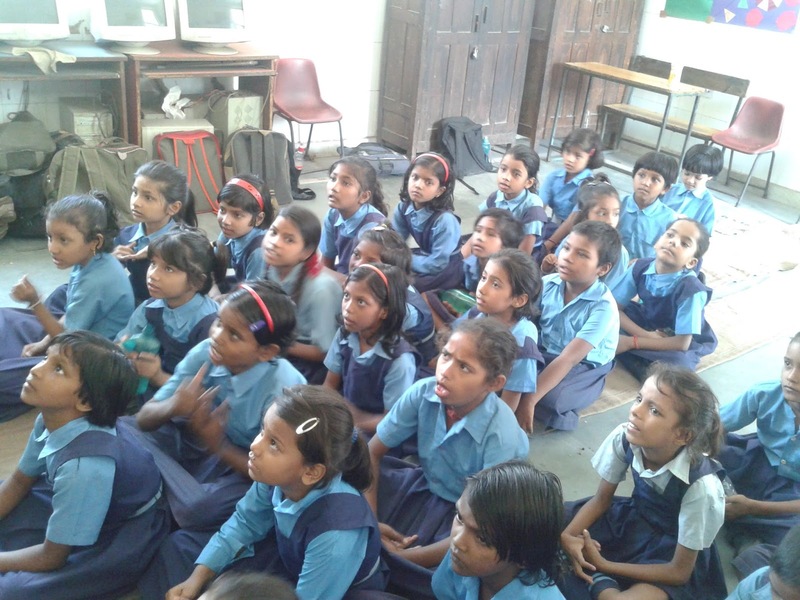 It was day filled with laughter and joy, when 40 girls (The Angels) from Nigam Pratibha Vidyalaya, Sarai Pipal Thala came together to share the story of Paplu, The giant. They realised Paplu was a lot like them, good-natured, peace-loving and sometimes forgetful. 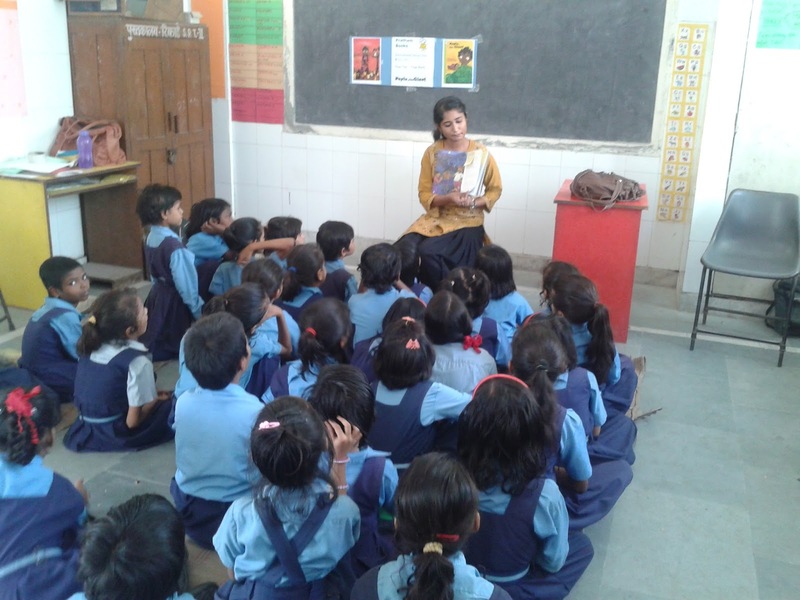 After listening to the story, all the girls drew pictures of their favourite part of the story. Thank you Joanna for spreading the joy of reading!